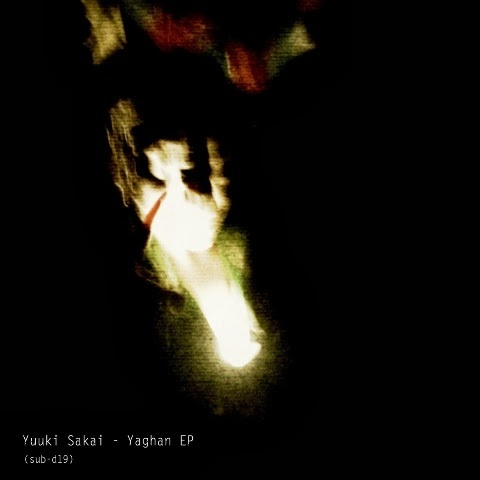 “Yaghan EP” by the Japanese producer Yuuki Sakai is another solid release on the Spanish imprint Subsist, which belongs to the top-end of digital-only techno labels. For the start not much rush can be perceived in “Natalie” where ripples of new-age percussion are entwined with hammering passages. In “Yaghan” the bass impact adds robustness to tribal notes and “Pilsner” is nothing for jolly daydreamers as it comes dark and haunting with eerie drums and steelwork noise in the background. The gloom continues in “Villeta” before the torture room is entered with banging “Fabl ‘O'”. Sakai’s tracks land between Diskant’s fired-up subequatorial drumming and banging industrial techno, having in the same a special twist.